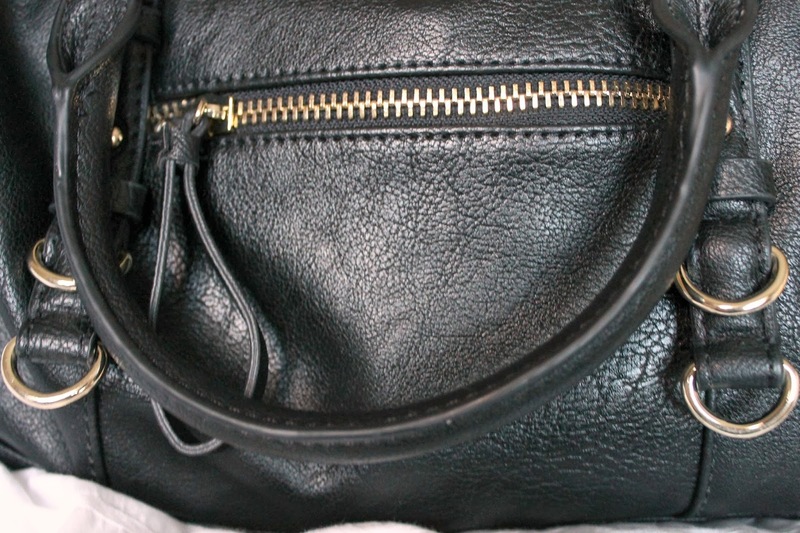 emma.ls.rs: The ZARA bag post. Aside from having a very hectic week that has included too many early mornings, I somehow managed to squeeze in ordering this ZARA bag (only currently available in brown). The ZARA bowling bag with metallic gold rings is part of the ZARA BASIC collection and is the perfect size (large enough to fit all of the essentials + a jumper = very handy). 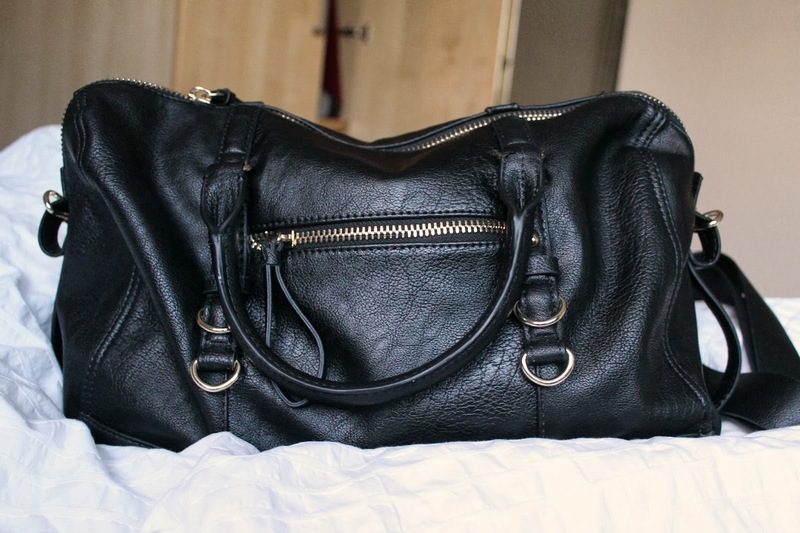 For a while now I have been on the hunt for a larger, more basic bag than my current orange/pink H&M satchel handbag. I came across this one in the sales and knew that I had to order it, at £19.99 it's a bit of a steal for a good-ish quality handbag. This purchase was a bit of a shot in the dark because online there are no reviews and you can't really see the true size. This was also my first ever order from ZARA (shocker!) but I am so happy I took the plunge. I have to mention how well this beauty was packaged, in a lovely big box, wrapped in tissue paper, sealed with the ZARA logo. Gives it an edge over Topshop. 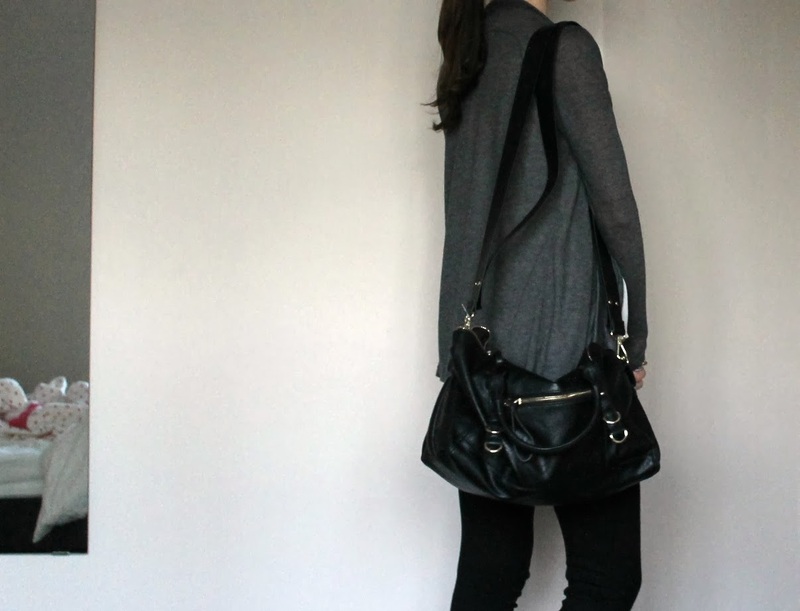 I love the slouchy style of this too. It's sort of like a - 'This is just something I threw on in a hurry' - look. The thick, short strap makes this bag very comfortable to carry (a major benefit for me) and the inside is lined with two non-zip pockets, lovely! The disadvantage? The zip. I was very keep to buy a bag with a zip because it keeps your items safer (and drier in this weather), however the zip is not as great quality as I was expecting. 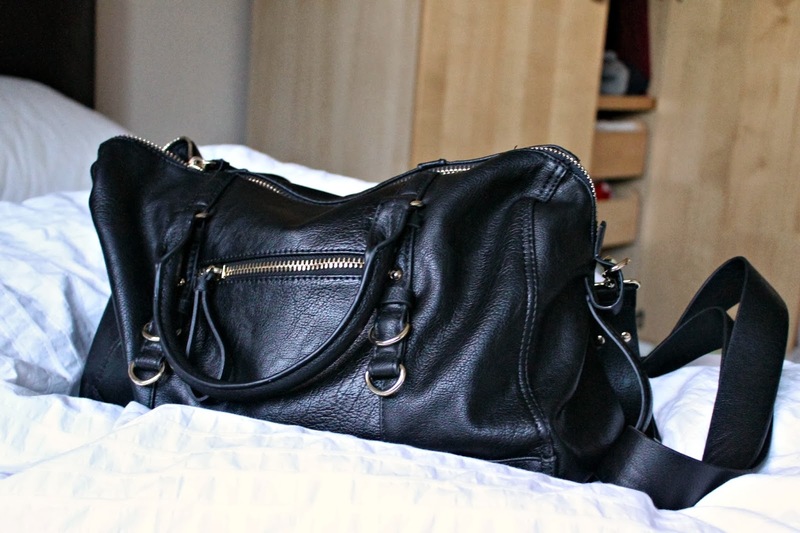 But really, I can't wait to start using this bag more for travelling, shopping ect.